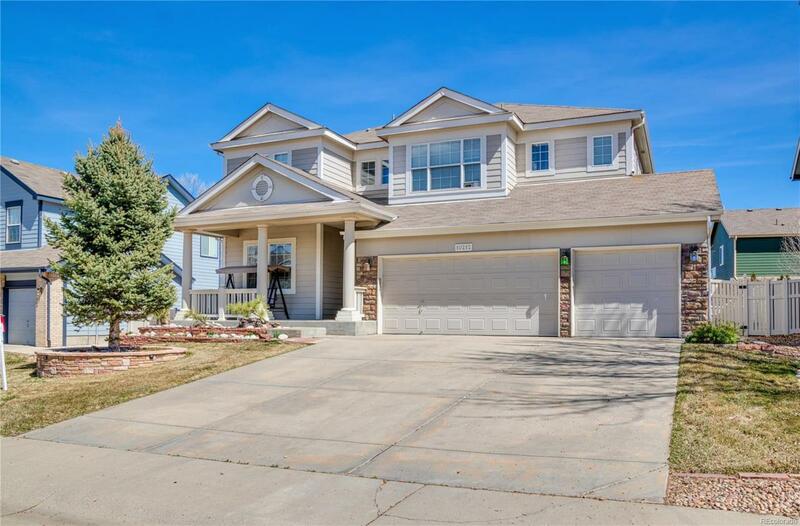 Super clean 3 bed, 3 bath w/ study & loft in St Vrain Ranch filled w/ lots of light! Entertainers kitchen w/ S.S. appliances, double oven, gas cooktop, island and granite. Private master w/ massive walk-in closet & 5-pc en-suite bath w/ jetted tub! Two more rooms upstairs with full bathroom and big loft space. Living room has vaulted ceiling & fireplace. Backyard has mature trees & stamped concrete patio. Full basement & 3 car garage. Walk to parks, library & elementary school. Close to shopping and grocery. Quick commute to I-25, Hwy 119 and Hwy 85. Low HOA. Come see! !